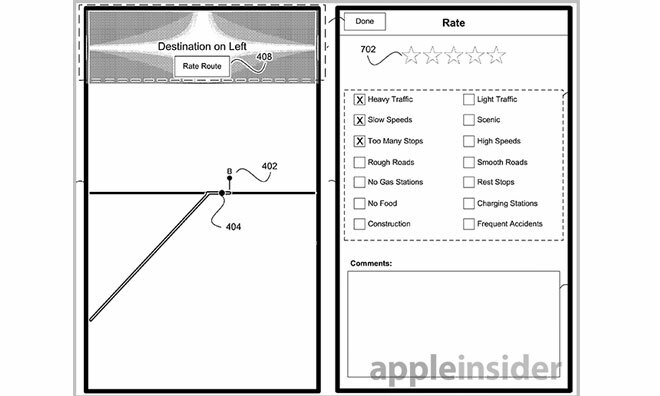 A patent filing from Apple, published last Thursday by the U.S. Patent and Trademark Office reveals the company’s intentions of making a navigation system for creating routes based on user input as well as real-time accident reporting. 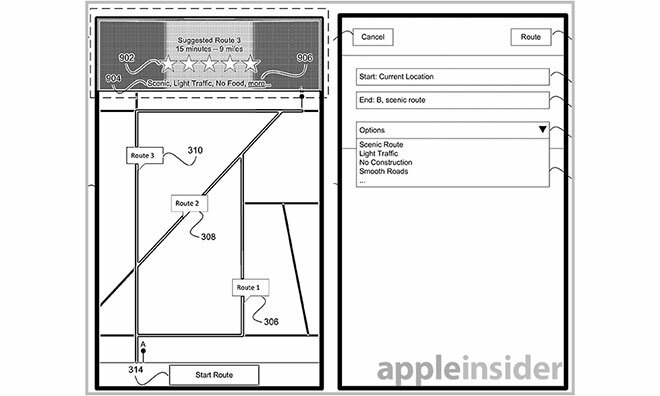 Apple’s patent application also includes a method for generating car travel routes based on user preference and real-time traffic data — just like the crowd-sourced navigation app Waze. Additionally, users of the service will be able to give routes they’ve just traveled a numbered rating. Based on it, other users will get separate routes that should, in theory, provide them better traveling experience. As described in the patent filing, the process starts with the users setting a start and end point. Then, the app calculates the best route that’s in line with user’s preferences. This way, if you want to take the scenic route, you’ll be able to do so. You’ll also be able to filter by minimum rating, so bad routes that have been downvoted won’t be included. Once on the move, drivers can set if they want to see alerts of accidents or other types of events on the road. The alert duration, type of alert and whether an alert should be avoided will be configurable as well. You can see some of them below. Clearly, Apple would like to put this technology in some of its products, but there’s no telling when that might happen.